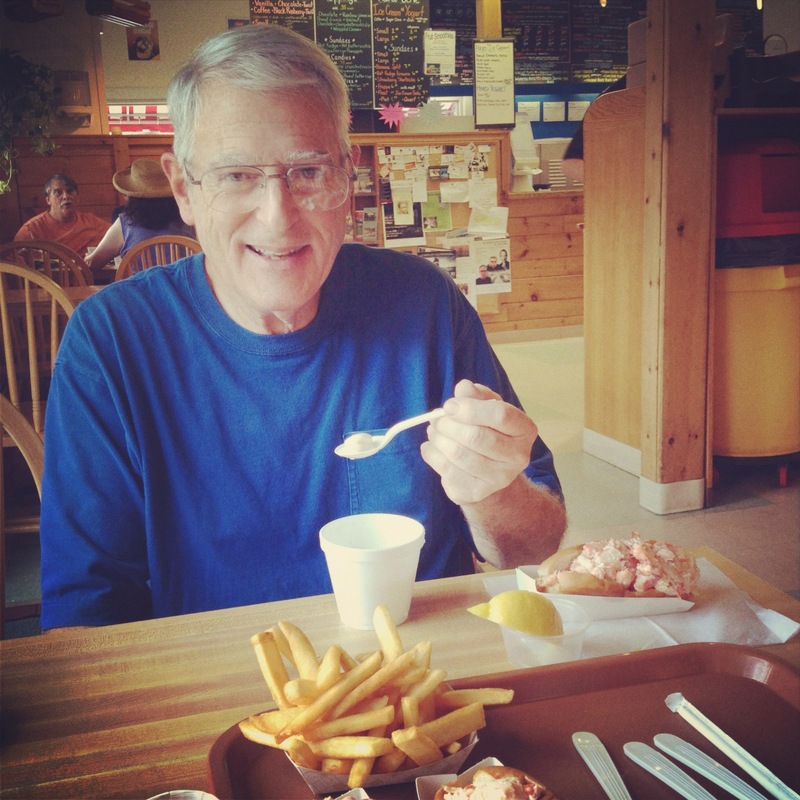 Savoring summer, time with Kate’s dad & the best lobstah roll ever (PJ’s Family Restaurant in Wellfleet). Making pickles! Refrigerator style using this recipe and farm fresh pickling cukes from a farm near Jess’s home town. We added cloves of garlic & black whole peppercorns to each jar. We also made a spicy batch for our neighbor by tossing in a sliced jalapeno from our container garden (YAY!). 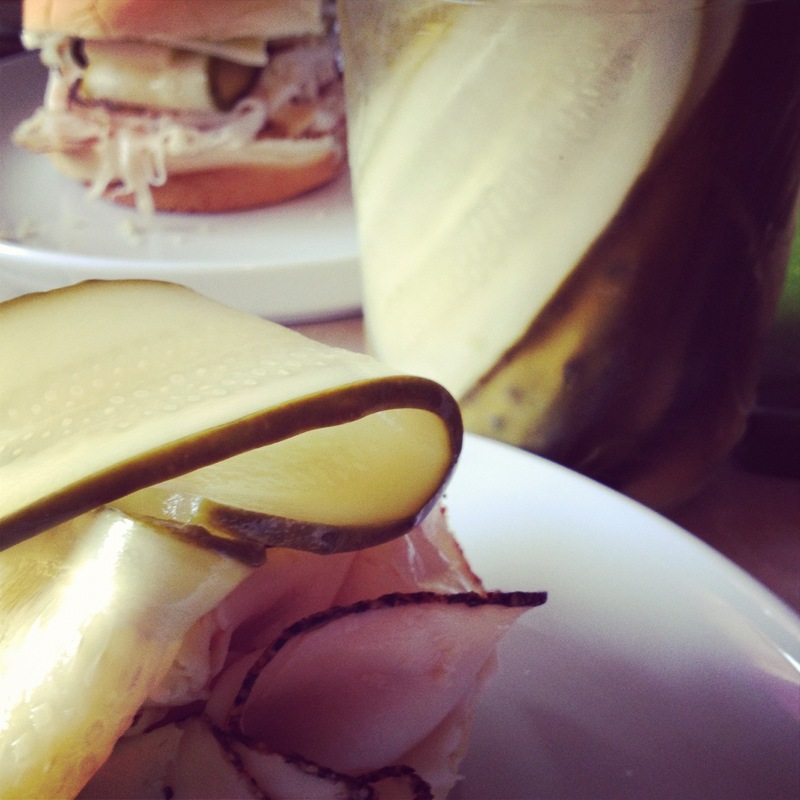 We’ve been eating them on EVERYTHING (pictured below on turkey sandwiches). 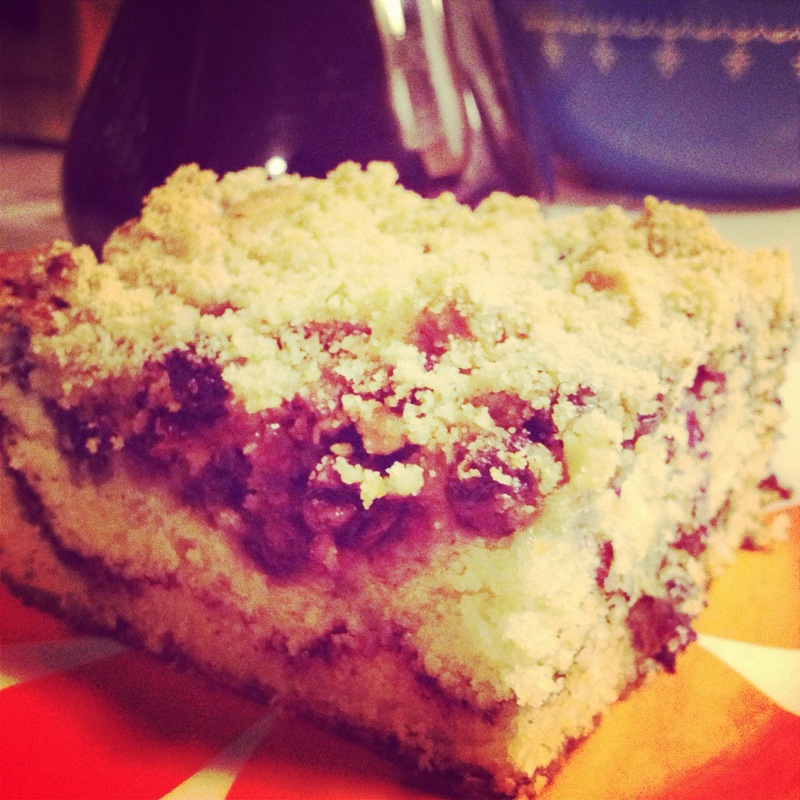 Salivating over a new issue of Bon Appetit and celebrating awesome neighbors with this delightful coffee cake. Toss blueberries in panko breadcrumbs? SURE! 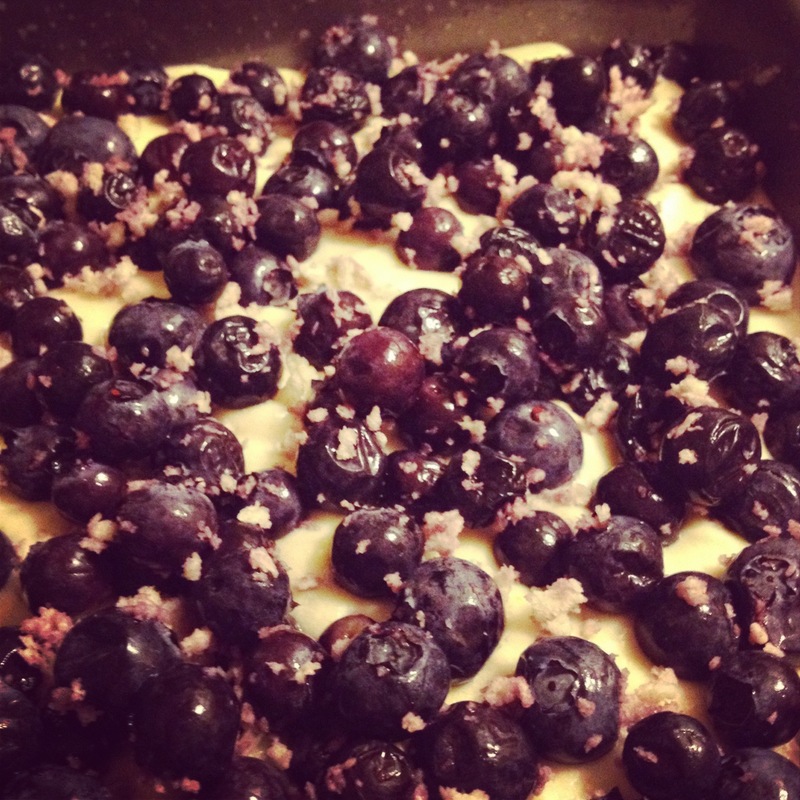 Here’s what the blueberry coffee cake looked like sliced (just before it got hand delivered to our favorite neighbors). This Instagram filter makes it look straight out of my mom’s 1970 Better Homes & Gardens cookbook. Catching up on crafty gifts, part I! Long overdue wedding card/art piece for friends Emily & Chris. 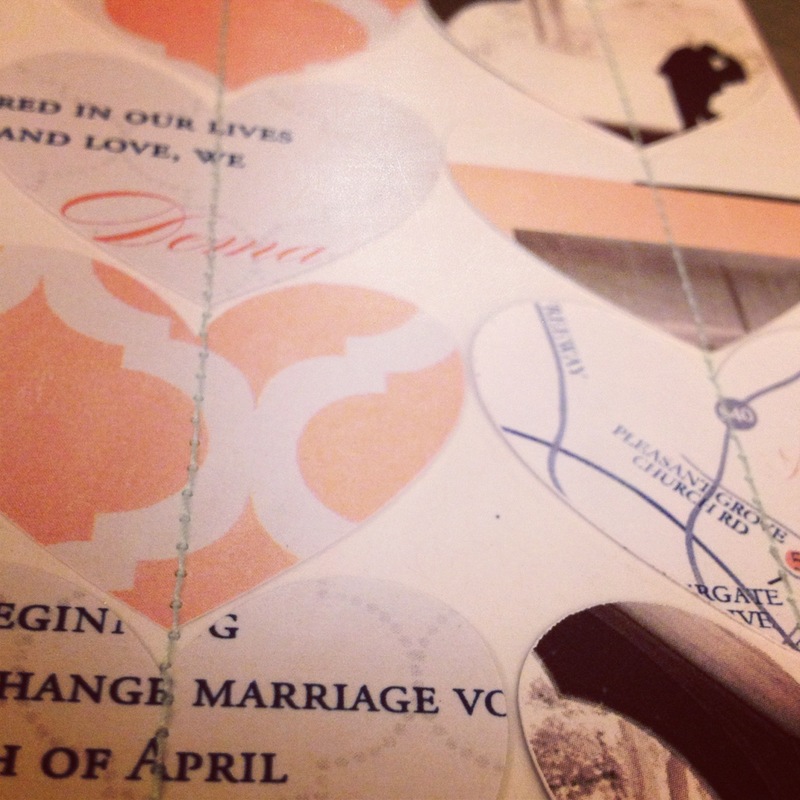 Those are heart shaped bits I cut out of their save-the-date & invitations. 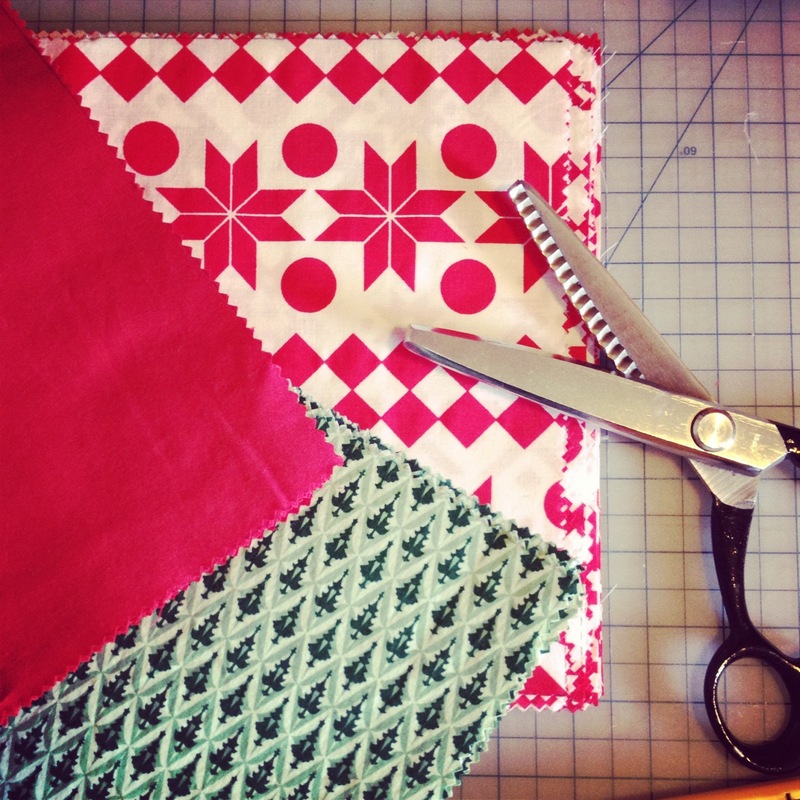 I love sewing paper. Catching up on crafty gifts, part II! Finally getting around to finishing this advent calendar project for 2 very special little boys (yes, that’s 48 little fabric bags). Promised last year that I’d make these & we’d fill them with goodies each year…literally the gift that keeps on giving! The first time I stumbled across this project on Lansdowne Life, I obsessed over the adorable vintage looking fabric…to die for, right?!? Can’t wait to fill the bags with goodies & send them off. Oh & those pinking shears were an amazing vintage find at a little consignment shop on the Cape. 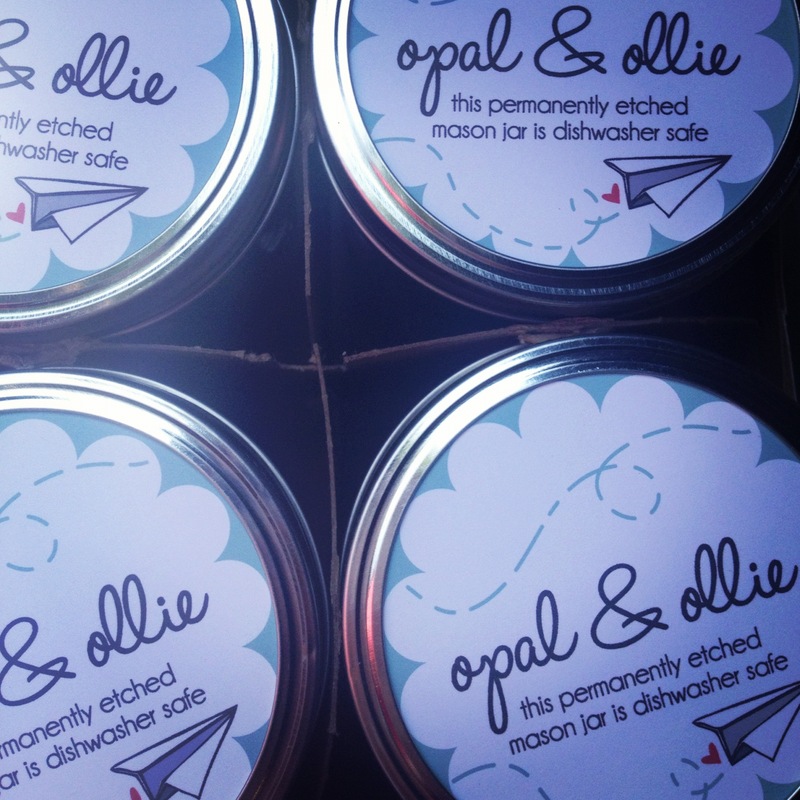 Officially launching Opal & Ollie on Etsy. YAY! A selection of my etched glass mason jars are also available at Magpie in Davis Square & On Centre in Jamaica Plain.